Choose where you want to go ! Below is a list of all the major cities and the most visited tourist villages. Click on the name of each destination to learn about attractions to see, routes to do, events, cooking classes, tastings of typical products, where to sleep and other tourist facilities to make your trip unforgettable. 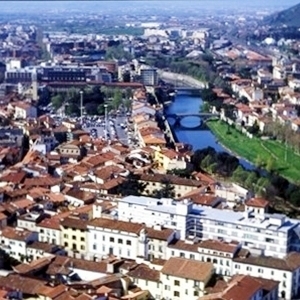 Is about 76 km from Florence, is the Saracen city, crafts goldsmith and antiques fair. Of note are the Cathedral, the Basilica of San Francesco with the Piero della Francesca’s frescoes and the Archaeological Museum. Capital of Tuscany Region, city of art and fashion with an international airport. To visit the Cathedral of Florence, the Palazzo Vecchio, the Uffizi Gallery, the Accademia Gallery (Michelangelo’s David), the Museum of Duomo, the Bargello Museum, the Stibbert Museum and the Palazzo Pitti. Is approximately 209 km from Florence, is a land of Maremma and cownboy. In the territory is situated the Roselle Archaeological Park. 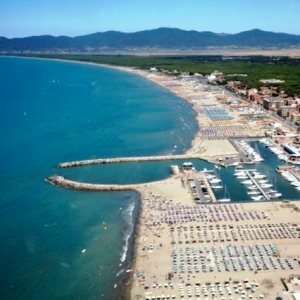 The Grosseto coast includes the wide sandy beach in Marina di Grosseto and Principina a Mare. 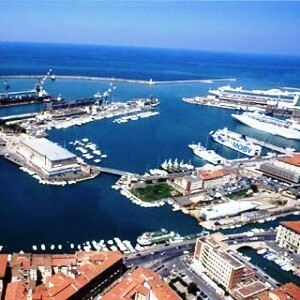 It is 90 km far from Florence and has a major seaport. In fact, cropped from the picturesque waterways called Medicean Fossi, two fortresses, squares and bridges, the city attracts with decidedly seafaring vocation and pleasant beaches. 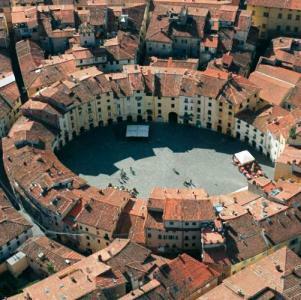 Is about 82 km from Florence, is the city of the Volto Santo (Hole Face) and Lucca Comics. It was also called “city of 100 churches”. In addition there are 130 buildings among towers and bell towrs over four kilometers of the massive double walls, still intact. It is 125 km far from Florence, is a city known for its marble and the seaside village of Marina di Massa. 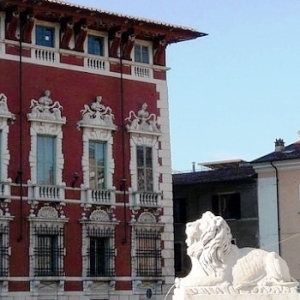 To visit the Cathedral of Massa, the Ducal Palace, the Malaspina Castle and the museum of marble sculptures. 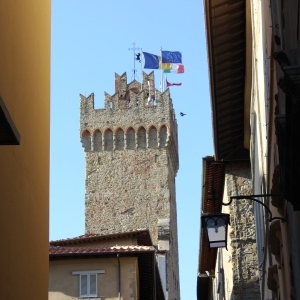 Is about 83 km from Florence with a major international airport. The city of the Leaning Tower and Square of Miracles. 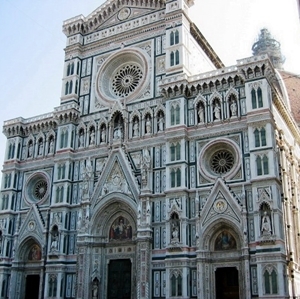 To visit the Cathedral, the Baptistery of San Giovanni, the Cemetery, the Cathedral Museum and the Museum of Sinopie. 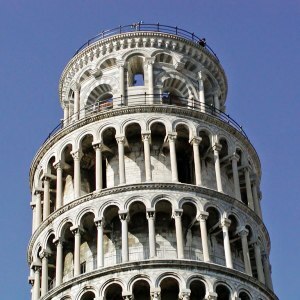 You can climb the eight floors of the Leaning Tower. Is about 42 km from Florence, is the town of plants and flowers. 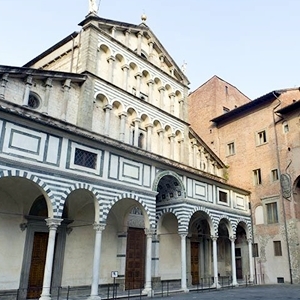 Pistoia is rich in Romanesque monuments and museums, from which stand out the Touch Museum, designed for the blind, the archaeological underground path and the Zoo of Pistoia. Is about 24 km from Florence, the city of the four miraculous churches – St. Mary of the Prisons and S. Maria del Giglio and of the Sacred Belt is an outdoor museum of contemporary art with squares adorned with monumental sculptures. It is approximately 75 km from Florence, is the city of the Palio, known for its historical, artistic, landscape and for the substantial stylistic unity urban aspect. 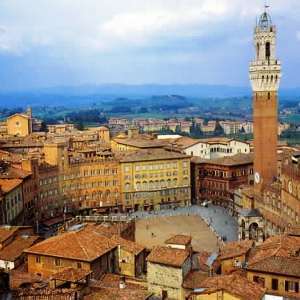 UNESCO conferred at Siena recognition of World Heritage. Of note, the Piazza del Campo and the Siena Cathedral.